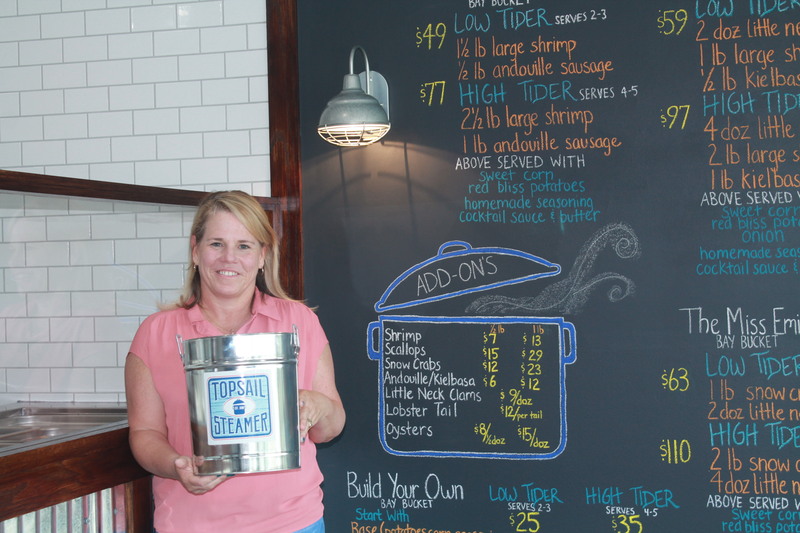 Danielle Mahon, standing in front of her menu chalkboard at Topsail Steamer, is ready for business at the new Wrightsville Beach location at 530 Causeway Drive. Photo by Daja Terry. Just in time for Memorial Day, the opening of Topsail Steamer’s new Wrightsville Beach location at 530 Causeway Drive is set for Thursday, May 24. A Raleigh native, Mahon grew up in a family of entrepreneurs, and she always knew that she wanted to start a business—she just didn’t know what to do yet. With a background in sales and marketing, as well as life sciences at Research Triangle Park, Mahon knew what she had to do. Mahon is already taking orders at her new Wrightsville Beach location. Mahon describes Topsail Steamer as a “sort of Chipotle or Subway style” restaurant. Customers can order their food at the counter, building their own Bay Bucket with a base, shrimp, snow crabs, clams, or sausage, and then top it off with one of four homemade seasonings. With another option to order online or over the phone, customers can set a time and date and the team at Topsail Steamer will have it ready. Prices range from $25 with a Low Tider Build Your Own Bay Bucket to a $125 High Tider with a Full Steamer that includes 6.5 lbs of seafood, vegetables and seasonings. Her team is made up of University of North Carolina Wilmington and Cape Fear Community College students and graduates, as well as other locals. 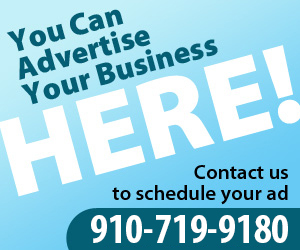 They will be splitting their time between the Wrightsville Beach and Topsail Beach locations. In addition to that, Mahon’s children will be helping her run the business at both locations. She said that customers always have a pleasant experience because her team exudes friendliness. Mahon listed three things that Topsail Steamer brings to the table: quality food that is locally sourced, convenience and experience. Customers can send in photos of them enjoying Topsail Steamer’s Bay Buckets. While customers cannot cook in the pot again, it can be reused for potted plants, shelving, or whatever else they may need. Their Bay Buckets range from Traditional Low Country to New England Clam Bake, and there are many choices in between. Topsail Steamer is open seven days a week from 12–7 p.m. on weekdays and 12–8 p.m on weekends. The official Wrightsville Beach Chamber of Commerce ribbon-cutting will be held June 13 at noon.